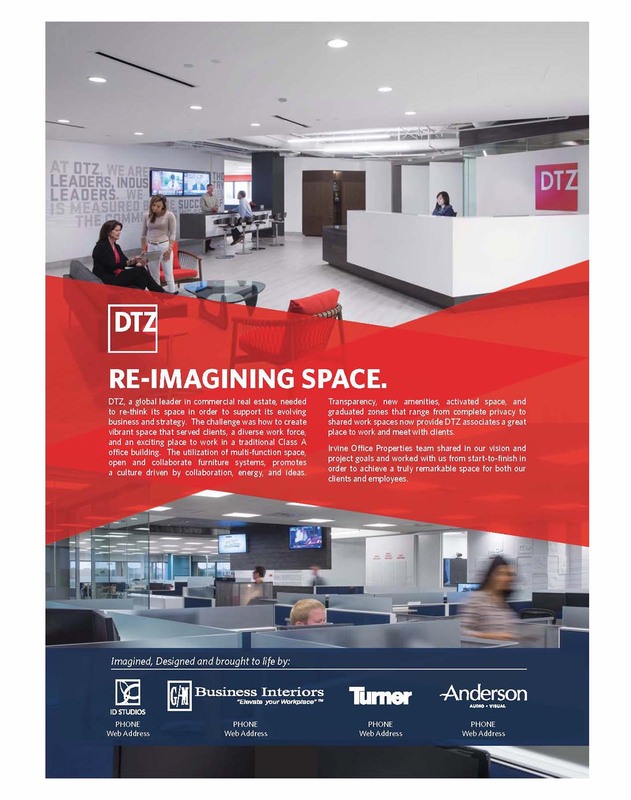 June 2015 - ID Studios, Inc.
DTZ, a global leader in commercial real estate, needed to re-think its space in order to support its evolving business and strategy. The challenge was how to create vibrant space that served clients, a diverse work force, and an exciting place to work in a traditional Class A office building. The utilization of multi-function space, open and collaborate furniture systems, promotes a culture driven by collaboration, energy, and ideas. 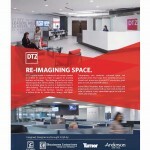 Transparency, new amenities, activated space, and graduated zones that range from complete privacy to shared work spaces now provide DTZ associates a great place to work and meet with clients. The entire team shared in that vision and project goals and worked with DTZ from start-to-finish in order to achieve a truly remarkable space for both their clients and employees. We loved being a part of DTZ’s San Diego transformation. See pictures of their space on our website, on Officesnapshots.